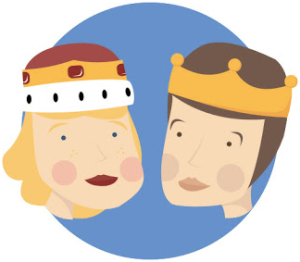 Being a true King and Queen of your Oral Health! Looking to never need another crown again? Now it’s possible! With the help of a natural approach – Biomimetic Dentistry. New adhesive technology of BPA free composite materials and small bonded porcelain onlays allow a new paradigm shift in what is truly holistic dentistry, which means No More New Crowns! Biomimetic technology enables us to restore fractured, decayed and broken down teeth without removing any more tooth structure as in any case of cutting a tooth for a crown. Instead, we build on what is left, strengthen and seal the remaining tooth from bacteria invasion. It’s a common sense approach and it prevents further destruction of the tooth as well as having to get a potential root canal. This “Tooth Conserving Dentistry” equals to “Money Saving Dentistry” and means less time in the dental office. If you were told you need a crown, look into alternative to full crown restorations with Biomimetic Bonding. Crowns belong on your head, not your mouth! Take the Royal Approach to your oral health. Save money and your precious tooth structure in the process! Find out more by e-mailing Dr. Olga at drolga@naturesdental.net or by calling (631) 316-1816. Feeling the Winter Blues this season? Get your complimentary OxygenOzone treatment (during your regular dental cleaning) to aid in your body’s ability for self healing! Oxygen Ozone therapy has been used by many alternative health care professionals for its non toxic and natural immune system boosting properties, which makes it stand out among all other treatment options.